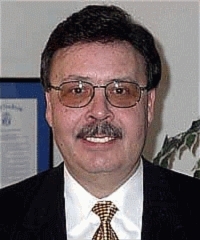 Enrico G. (Henry) Savelli has spent over 30 years in public procurement. He retired in March of 2001 as Assistant Director of the Treasury Department, Division of Purchase and Property for the state of New Jersey where he directly managed the Purchase Bureau, the organization that awards State contracts. He maintains personal contacts with many agencies of State Government, as well as Purchasing Directors/ Agents at all levels of government. Mr. Savelli was a frequent lecturer on state Contracting issues at the Annual League of Municipalities, and is generally considered a primary expert on State procurement. Conducted many seminars for government and business concerning the proper way to use State contracts, and how recently promulgated revisions to State purchasing laws have changed the way Government will do business in the future. Mr. Savelli managed the NJ State Purchase Bureau, an organization of one-hundred employees, involved in the procurement of $1.5 billion dollars a year in purchases ranging from Food and Office Supplies, to Furniture, Computers, and Professional Services contracts. He was an advocate and liaison with local governments and school districts to ensure contracts met the needs of all levels of government, a critical area since local governments/schools spend 2-3 billion dollars per year, much of it placed against State contracts.